International events manager with over 12 years experience. 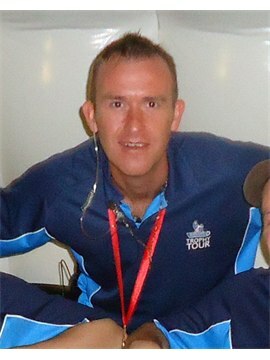 chosen to event manage the Barclay's Premier league world Trophy Tour in 2011. Enjoy travelling, adventure days & DIY. Thrive on a challenge and enjoy meeting new people and tasks along the way. View my contact details, availability, and stats. I have worked in the experiential marketing industry since 2001 for a number of the world's leading brands at some of the world's most prestigious events, venues and locations. From rigging 1000sqm2 plus events in the Far East to grounding 44 tonne trucks in the middle of the UK’s most recognised music festivals. My personal event experiences are extensive and wide-ranging and include but not limited to managing events in the UK, Abu Dhabi, Dubai, Doha, Hong Kong and Shanghai. Experienced in large rig events from 30 minutes upto 54hr. Managing rigs and events using core, and local staff including events in middle and far east. Highly qualified and reliable past record from previous employers. Vast experience in trailer stands and more recently consumer awareness campaigns. Nescafe wet and dry sampling roadshow all environments over 4 years. Be Clear on Cancer Sky green screen roadshow Logistics roadshow manager for Cancer Reasearch UK Barclays premier league world trophy tour 2011-2013, middle east, far east. 1000m2 activity site. build and event manager. 20 + staff Vodafone 'Power to You' charging rigs/trailers with 1500+ charge points and VIP platforms for vodafone customers at 2011's Major music festivals and sporting events. Rig and event manager. all relevent leafleting on vast amount of jobs and products. Installation and logistics world wide. Site recces, logistics, cargo, rigs, power, generators,trailers. Highly experienced in managing build and maintaining stands and activations upto 1000sqm. 44tn trailers at music festivals and VIP platforms. all own tools. Cancer reasearh UK, Barclays Premier League World Trophy tour, Vodafone, power to you, music festivals. Nestle products sampling uk roadshows. on trade and off trade, Gaymers cider. Reliable 60 reg 5 seater car. Fully insured and full breakdown recovery.